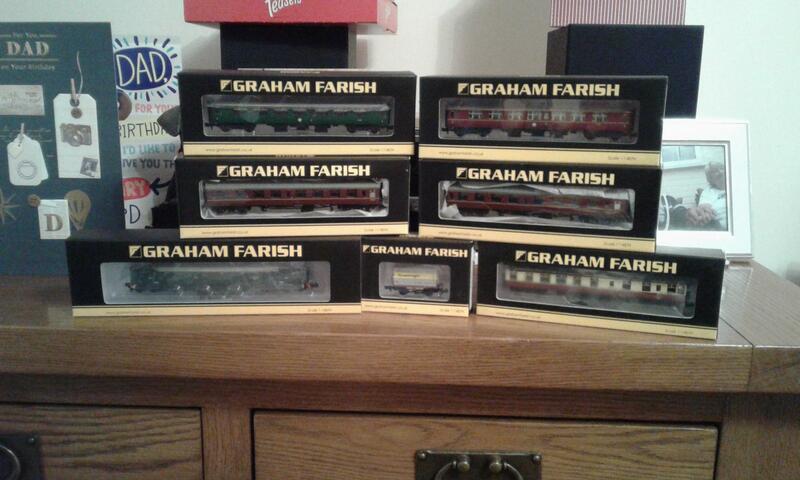 Firstly, a Farish “Minimodal” 33, which was smuggled under my nose by my in-laws. It arrived having had its last two digits removed by a previous owner, but otherwise in good nick and a great runner. I had to take all the remaining white numbers off to start with as the replacement DRS set I obtained was a fraction smaller. Also, purchased at Calne itself, where a rather nice Farish lorry and the correct BDA to get me nearer finishing a recreation of a Welsh Nuke train I found a photo of a few years back. 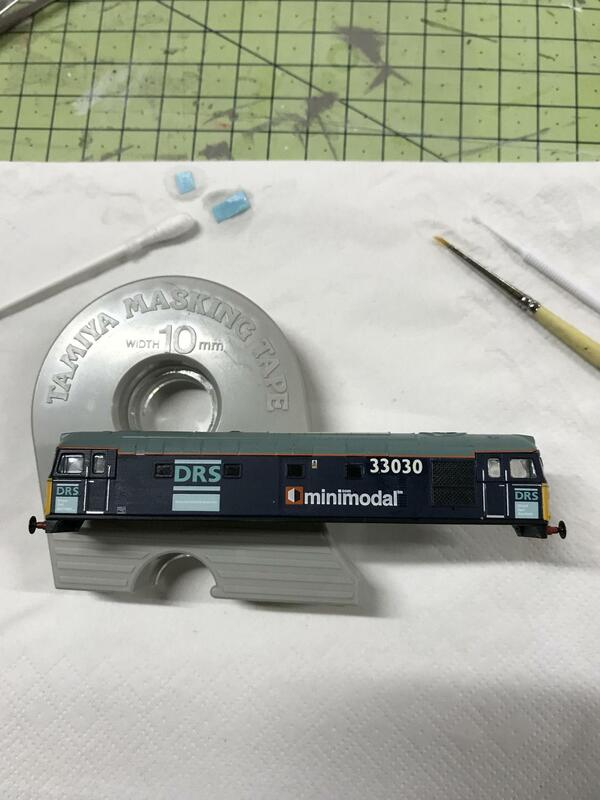 Just need another example of the same BDA and Farish to hurry up with their refurbished 31s! And many more of them, (I meant birthdays not carriages!). Ay up there Dickydcc. Have just seen this thread. How've you got on with your 40 and the sound decoder? I'm dipping a toe in the same water before long so your experiences awaited with interest. I'm thinking about sending it to TMC, as they can get name plates made up.I was thinking of having it named in honour of my dad. Along with yellow warning panels, detailing & a bit of weathering. Happy to let you know how it works out though. I was thinking of having it named in honour of my dad. Latest addition to Thetford Rd. My 1st with sound. 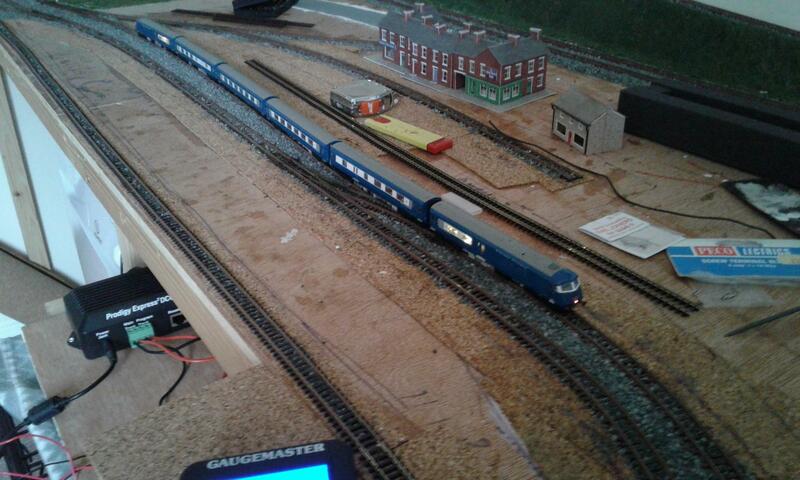 Just bought this Deltic Prototype last week, Bought in the Merseyside Express set minus the controller and track. 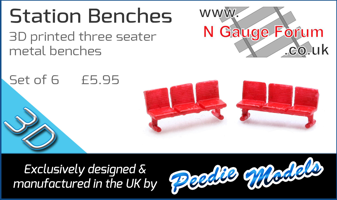 I have added another crimson Stanier coach to the set, really needs a few more crimson and creams. Built to the same sort of standard as my various kitbashed efforts, separate wire handrails, nicely painted and weathered, on a late-production Crab chassis with fine blackened wheels, and not dear at £35. It has suffered some minor handling damage but runs well now I have straightened out the valve gear, and just needs a small amount of fettling. 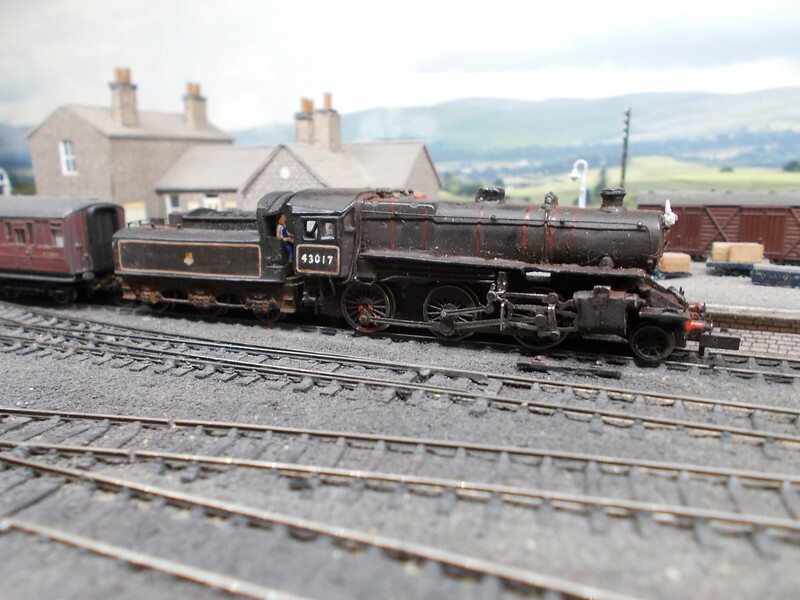 It also needs renumbering: I'm undecided between 43000 (a Carlisle engine in the early 1960s before seeing out its final days at North Blyth) and lifelong Carlisle resident 43139 (known by the shed staff as "Jezebel"). I wonder who built 43017, and how it ended up on a second-hand stall? If anyone recognises the handiwork I would be interested to know its history. It has found a good home anyway. This latest purchase has me a bit stumped. I was told at Ally Pally last weekend, that this conflat wagon is BR because its fleet number has a B prefix. However, I know that the 'big four' provided home removal services. There again to this day there is a removal firm called LMS, and being in Carlisle puts them very much in pre-BR LMS territory. Do I need to repaint this container and/or wagon to fit my early '60s era project? I tend to think it's a Peco glitch. I believe the container belongs to the LMS, and therefore predates BR layouts. For that reason I don't have one on my layout. Don't forget that not all Peco liveries are authentic, and the firm probably just plonked that on the wagon thinking people would turn a blind eye to the "B", or not even notice it at all. I must admit I didn't, until I read your post! Seeing as the Peco BR equivalent is code NR-22 I suspect that one is the LMS version but, as there is an existing business, why not use it? You can buy separate BR containers if you want to replace them but them come as a pack of two - 1 x BR and 1 x LEP.